Planning a Wedding? Are you having a hard time finding just the right wedding venue? A space that will house all of your guests and have the atmosphere you need? 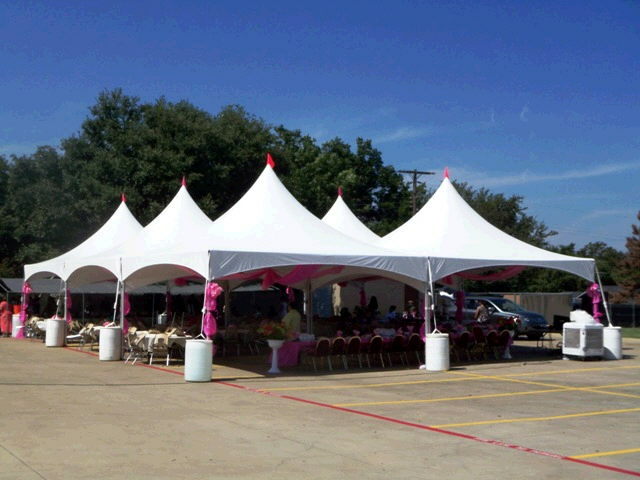 Consider Tent Rental from Rental Stop in Dallas/Ft.Worth! We have tents large enough for your event. We are your Wedding Rental and Tent Rental professionals! If you have the land space to erect a tent, it’s a solution to a problem (and a big problem at that!). Also keep in mind that some City parks allow tent erection and you can actually rent grounds from them. Near a lake or in the middle of the city, it can be absolutely enchanting. Imagine your guests dancing the night away “under” the stars! We have Dance Floor Rentals to make it even more special. And our tents can have walls with windows and plenty of doors for a good traffic(guest) flow. You can cater under your tent while seating all of your guests with our Table Rentals and Chair Rentals. You could create a spectacular atmosphere using our Cocktail Table Rentals and Lighting Rentals. It would be an event that is unsurpassed! Most people love to be outdoors surrounded by nature; an outdoor wedding hits the mark. We also have accessories such as Columns and Archways to add ambiance. And to really add to it why not have a Portable Bar that serves non-alcoholic beverages as well as alcohol? Your wedding will be THE most treasured event of your life ~ make it GRAND! Rental Stop is here to help you do just that! To get started, simply call 972-336-0059 or visit us at www.rentalstops.com ~ do it today ~ you won’t regret it! 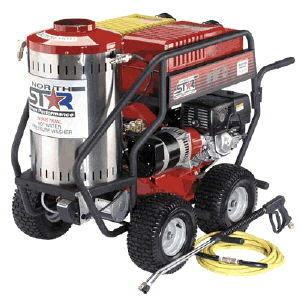 Power Washers ~ what a great Equipment Rental item from Rental Stop in the Dallas/Ft.Worth area! When Spring weather comes again, it’s time to clean up “winter” and get that wood deck ready for enjoyment! Rental Stop is your Partner in the Planning for a great looking home ready for guests or personal enjoyment. With our Equipment Rentals at Rental Stop, you can use that Power Washer rental for your wood deck. It removes that weathered dirt and grime and restores the look of your wood deck to a much improved look. Our Power Washers are easy to use and worth every penny you spend renting it at Rental Stop! Pressure Washers are so easy to use that even the most unskilled at using rental equipment can use it. You’ll want to Power Wash the neighborhood when you realize what a difference a Power Washer makes! You can use Power Washer rentals for siding, driveways, walks and of course, decks. It’s endless and economical.You’ll be searching out the other equipment rentals we have at Rental Stop when you realize how simple and rewarding it can be. Pressure Washers are so easy that you simply hook them to your water hose and let the power flow! They will not over power you, but they will reward you with a great finished look! Call us today at 972-336-0059 or visit our website at wwww.rentalstops.com. Rental Stop is here to help make your life easier and affordable with our extensive selection of equipment rentals and tool rentals in the DFW metro area! We ARE your Partner in the Planning!